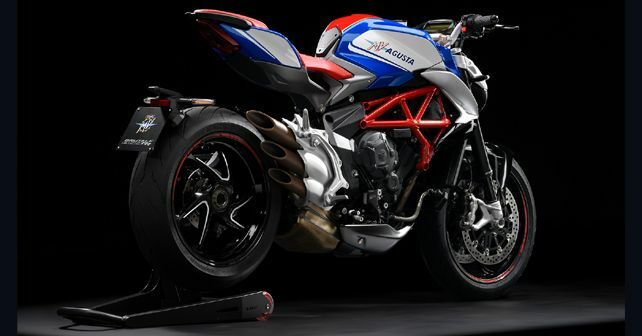 MotoRoyale has teased the upcoming MV Agusta Brutale 800 RR America Special Edition; only five units will make it to India, making it a very rare collector's motorcycle. In its latest teaser on Instagram, MotoRoyale, the official retailer of MV Agusta in India, has announced that just five units of the Brutale 800 RR America Special Edition have been allocated for India. While the Special Edition bike features a unique paint job inspired by the American national flag along with a few Special Edition badges here and there, the bike does not feature any mechanical changes and remains the same as the standard Brutale 800 RR. The Brutale 800 RR America is powered by the same 798cc three-cylinder motor which pumps out 138bhp at a whopping 12,300rpm and 87Nm of torque. With a dry weight of just 172kg and coupled with the MV EAS 2.0 QuickShifter, the Brutale 800 RR is way ahead of its nearest rivals like the Ducati Monster 821 and the Yamaha MT-09 and can easily compete with numerous litre-class naked bikes. To make the riding dynamics even sharper, the tubular trellis frame of the Brutale 800 RR is supported by Marzocchi Upside-Down forks at the front and a progressive Sachs mono-shock absorber at the rear. Stopping power comes through ABS-enabled 320mm dual floating discs at the front and a 220mm single disc at the back. As of now, there is no word from MotoRoyale on the price of the America Special Edition, but it's safe to assume that it will carry a premium of around ₹ 1.5-2 lakh over the regular Brutale 800 RR, which is priced at ₹ 18.99 lakh (Ex-showroom).